Smart TV Benefits – First of all, let’s talk about what a Smart TV actually is. A Smart TV is any TV that can be connected to the internet to access a wide range of steaming media services and that can run entertainment apps, such as on demand video-rental services, web browsers and internet music stations. Which Companies make Smart TVs? Every major TV manufacturer makes a Smart TV today. It is a trend that everyone follows. And by the day the TV sets are including new and inclusive features such as voice commands and search. Or like other major manufacturers who let you wave the remote to control an on-screen cursor. TV’s aren’t like phones and laptops. They don’t have a standard software that runs on every TV. Every manufacturer has their own operating system or interface for Smart TV’s. A majority of TVs support such popular services as Netflix, Hulu, and Amazon Prime Video. However, Some TV manufacturers only offer a handful of apps that rarely change, where other models deliver a wider variety of apps ranging from Facebook to Stitcher. 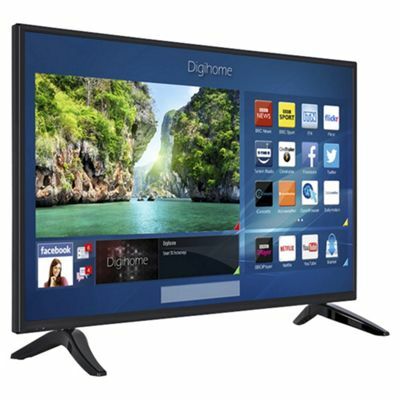 The TVs with a lower price offer only the most popular apps whereas the higher priced TVs provide a lot more services. Smart TVs do have other benefits. The newest releases have popular voice assistants to do the work. LG have added google home and Amazons Alexa is built into Westinghouse and Hisense. Voice search now lets you find content from live TV as well as streaming services, and adds search for everything from weather and stock prices to looking up the latest celebrity gossip. The voice integration lets you access other services from your couch, letting you order a pizza or summon an Uber in comfort. No other TVs can do that.